My passion for dentistry and my motivation to serve the people around me led me to this work. I believe in a life of purpose, and for me, my purpose is to serve people by having the power to heal them. Finding proper dental care is a struggle to so many people in our society due to its high cost and poor dental insurances. So many people cannot afford regular dental checkups, which results in a simple cavity turning into a much more serious problem that costs even more to fix. 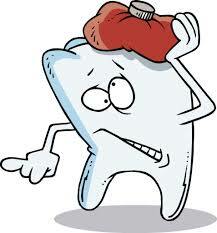 And because people are unable to afford a more costly procedure, they end up extracting the problematic tooth/teeth. Our teeth serve so many purposes to us on a health, social and personal level. This is why I believe being able to provide free or reduced dental care to people who need it is so incredibly important. At the OHSU dental clinic the third and fourth year dental students provide a variety of dental services to underprivileged individuals in the community. The students are closely supervised by their professors to ensure quality work for their patients. All the services offered at the university are at a much lower cost to the patients then they would be at a regular dental office. My job is to assist the dental students to make the procedure less time consuming and more efficient. My volunteering at OHSU, and the many other dental related activities I participate in, are only a stepping stone to my ultimate goal; opening a free dental clinic in Portland. I am currently working towards an education as a dentist which I hope to use as a tool to help me heal others through dentistry.